Ambient air flows through Evaporator coil and is sucked by axial fan. Evaporator coil is protected by filter against dust. Fan is with protection grill. 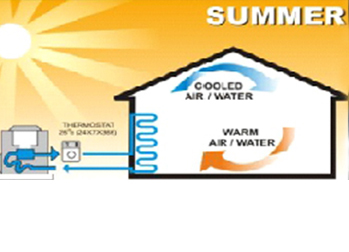 Outgoing air is cooler by 3 to 5℃ than incoming ambient air. This device causes sudden pressure drop in liquid refrigerant. In turn liquid temperature drops to temperature below that of ambient air. It is ready to receive heat from air. Thus gas cycle gets completed. It is made of copper tubes with aluminum fins. Refrigerant in liquid form flows through this coil. 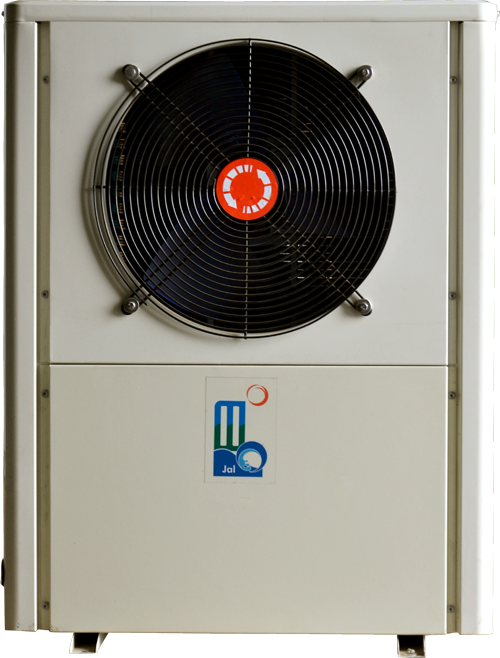 Refrigerant gets heat from air to get converted to gas form. 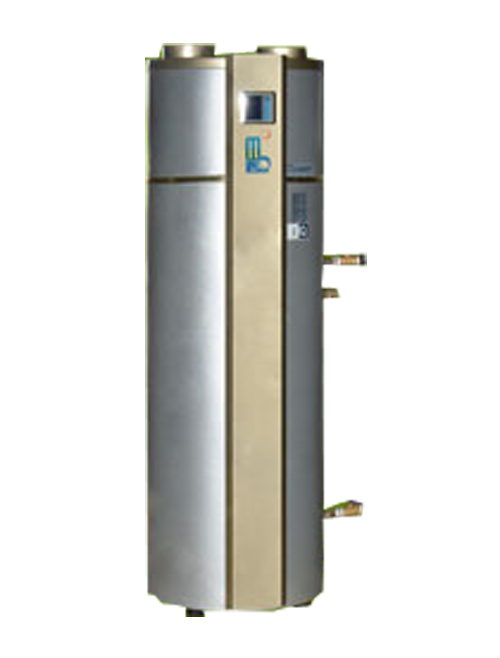 Gas is compressed by compressor to elevate temperature and pressure. It is nothing but insulated tube to tube heat exchanger made of copper tubes with S.S.304 casing. Provision is made for gas as well as water connections. Heated gas passes through one tube while water passes through the adjacent tube in opposite direction. Water gets instantly heated. In normal design difference in temperature is 30℃. Water gets heated from 25℃ to 55℃. Refrigerant gas is condensed and goes to liquid form at same pressure as discharged by compressor. 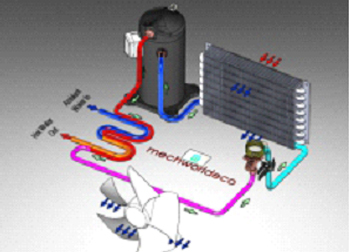 Generation of multiple hot or cold utilities give added flexibility in matching the heating and cooling effects produced by MWE Heat Pumps. 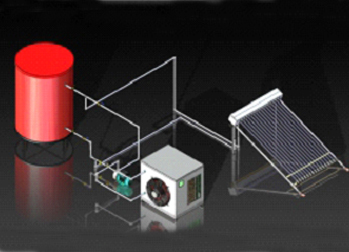 It completely eliminating the needs to handle any hazardous fuels environment. Big reduction in Maintenance Costs. Compared to conventional systems, the maintenance costs in minimal. MWE System only requires yearly checks & cleaning. Attractive payback in the range of 3 to 18 month are achieved most of the cases with proper application engineering. MWE is a Sister Concern company of Mech Well Industries Ltd. which is a renowned name in the industry for its power plant services for the past 25 years. MWE in technical collaboration with IIT Mumbai has worked hard to build one of the best reliability records in the industry.